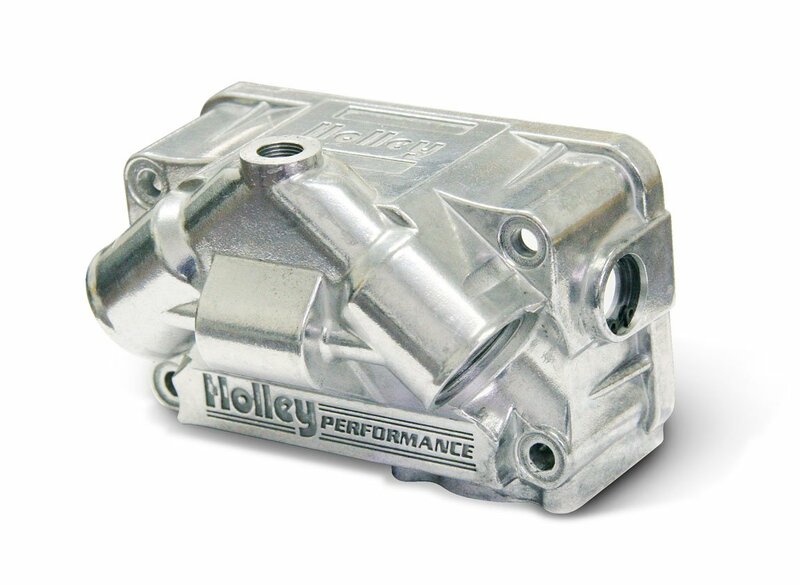 Convert anything from your old 3310 to a Dominator to Holley's new Aluminum fuel bowls! Holley Aluminum V-bowls are offered in three different configurations; primary, secondary with accelerator pump provisions, and secondary without accelerator pump provisions. These different options allow you to convert anything from your old 3310 to a Dominator to aluminum fuel bowls. Holley's new Aluminum V-bowls feature a clear, glass sight window for easy, safe fuel level adjustments. They also include all necessary gaskets and fuel bowl screws for a quick installation. The best part is replacing your old Zinc fuel bowls with the Aluminum versions will save you over 1.2lb of weight on top of your engine.